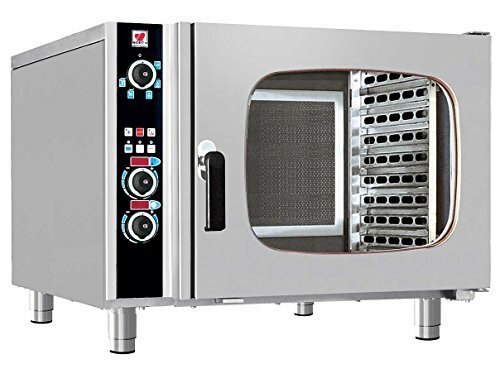 Electric steamer oven with boiler. Electronic thermostat and timer, fast cool low speed motor and clean button. Five (5) coocking cycle program. Six (6) plase of GN 1/1 of trays with the possibility to chande the base and put six (6) 60x40 cm.